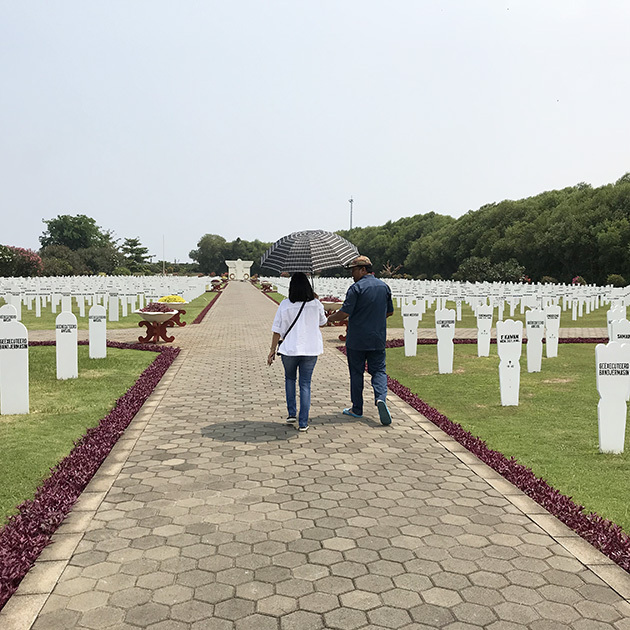 The Ancol war cemetery on the coast in North Jakarta, is located where many of the Japanese atrocities actually took place. 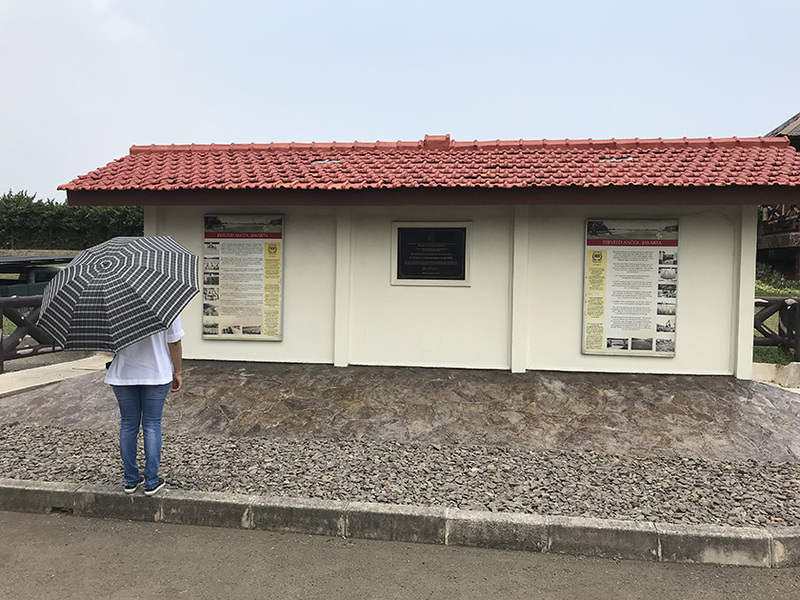 The area in which the cemetery lies, used to be a tidal tropical swamp The Japanese executed here not only hundreds of men, but also many women. 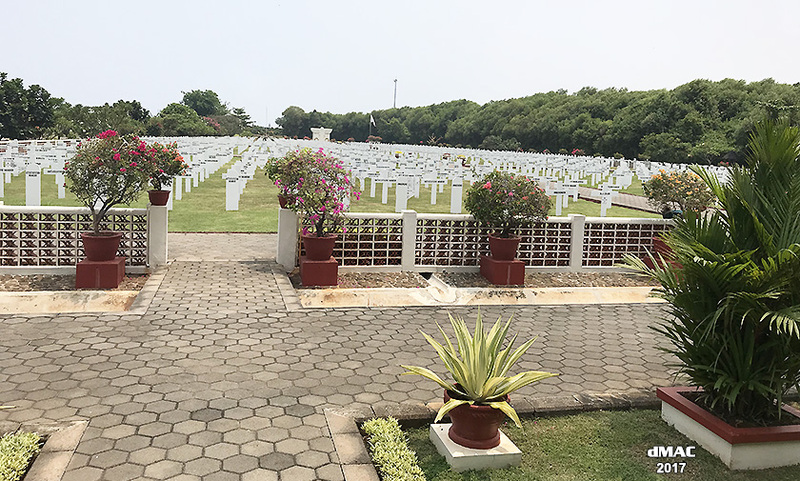 We are advised by the Indonesian Supervisor that this site contains over 1,500 graves, but the actual number of dead is more than 2,000. 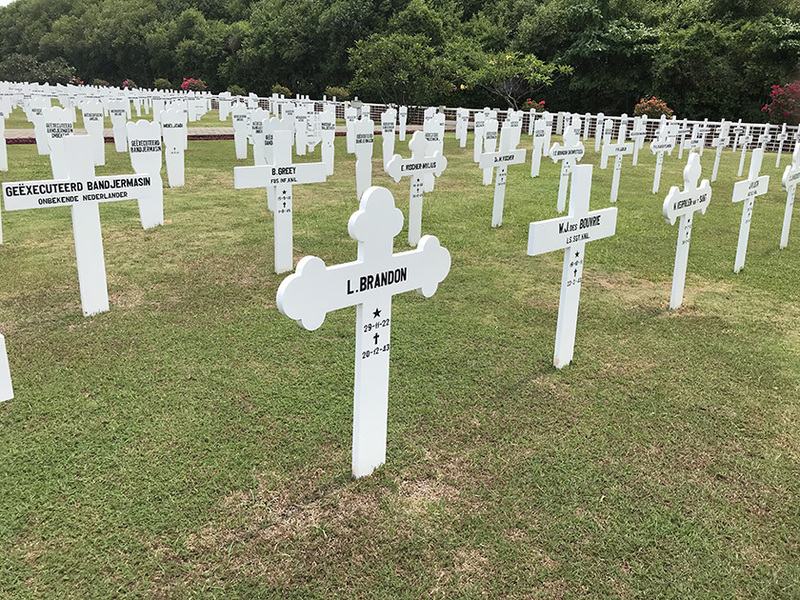 Many of the graves contain an unknown number of bodies. 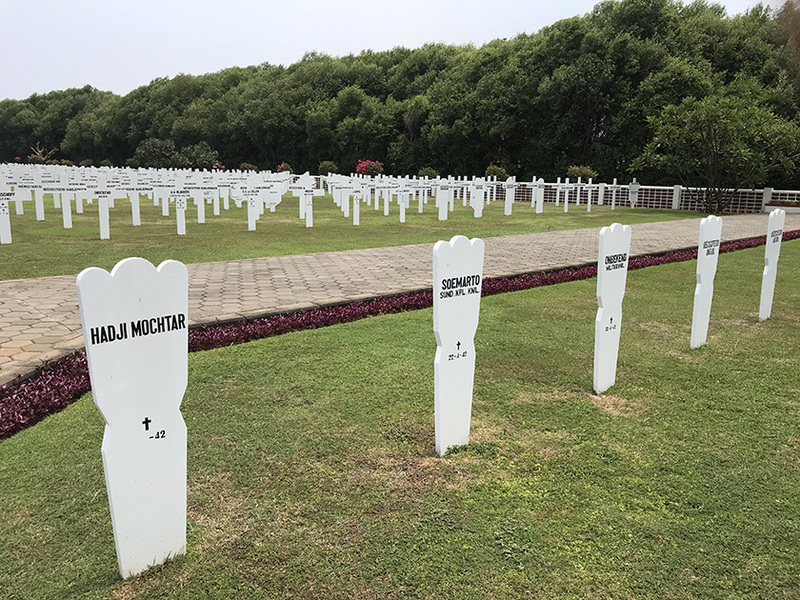 of the struggle in the Netherlands East-Indies - both civilian and military - are buried in these War Cemeteries. We were looking for four particular graves - Appleby, Bechtolt, Hilgers & Powell. LT Appleby of the 2/6th Field Company, a POW in the Bicycle Camp in Batavia, who could speak German, together with a young man named Tom Powell, developed a plan to escape. 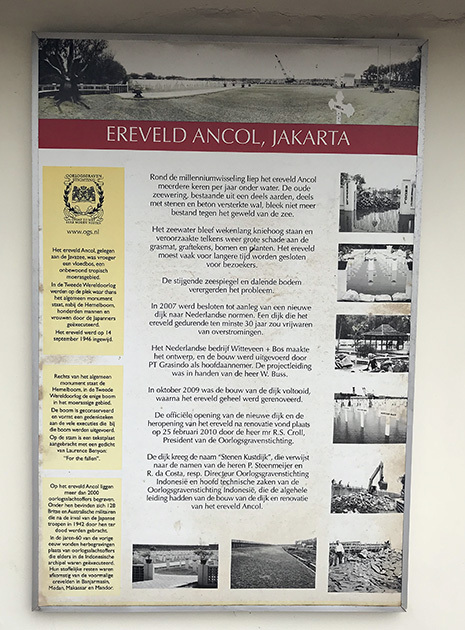 Powell, before his capture, lived with his mother at the Box Club in Batavia (Jakarta), while his fiancé Hanny Hilgers lodged with her mother and sister Elizabeth, in up-market Mentang. Initially, the escapees planned to masquerade as German planters, several of whom were on estates in West Java. From there, they would steal a vessel from the local yacht club, and sail to Australia. Sergeant Bechtholt of the KNIL Royal Netherlands Indies Army, was also in the Dutch resistance. He was captured along with Appleby in Bogor. LT John Appleby and Tommy Powell after escaping, first headed for the Box Club, but finding it full of Japanese troops, they went to Hanny's house, and were concealed at Mrs Hilgers home for many months . Hanny Hilgers was a member of the Dutch resistance. They continued their plan to get away by boat, but disguised as fishermen. To this end they browned their skins with iodine and wore native garments. However they discovered their plan would not work for one reason - their blue eyes. The Hilgers home was raided many times by the Japanese, but Appleby and Powell escaped detection for over nine months, by being concealed in a Chinese cabinet during those raids. When Appleby went down with appendicitis, he was moved to a local hospital, St Carolus, run by Catholic Nuns, under the assumed identity of 'Hansi Klein', a suposed 'Swiss' national who could speak only German. The information contained in this web site was given to Duncan by his brother-in-law; Peter Russell Scott. 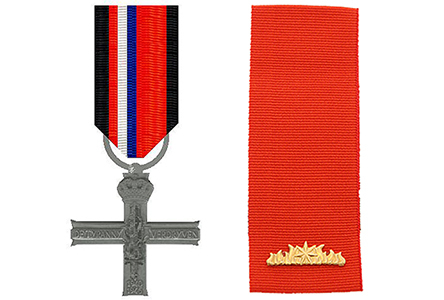 Peter saw 12 months active service in South Vietnam (1969-70) as a Field (Combat) Engineer with the 1st Field Squadron RAE, attached on operations to the 5th and 7th Battalions Royal Australian Regiment, Royal Australian Infantry, and the 1st Armoured Regiment and 3rd Cavalry Regiment Armoured Corps. 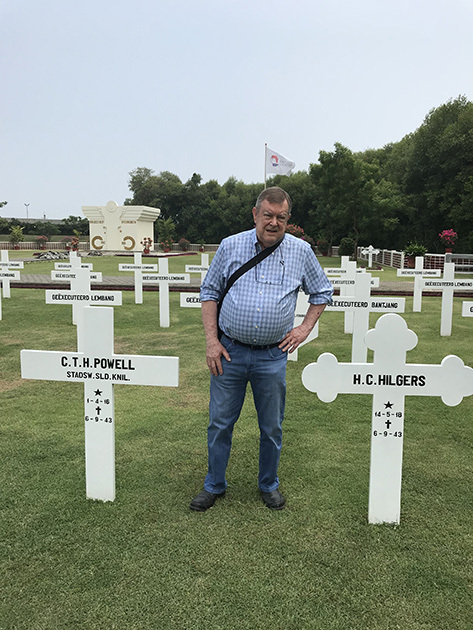 Peter is a foundation member of the Vietnam Tunnel Rats, and has made a number of return visits to Vietnam, with the Association as well as with family members in recent years. 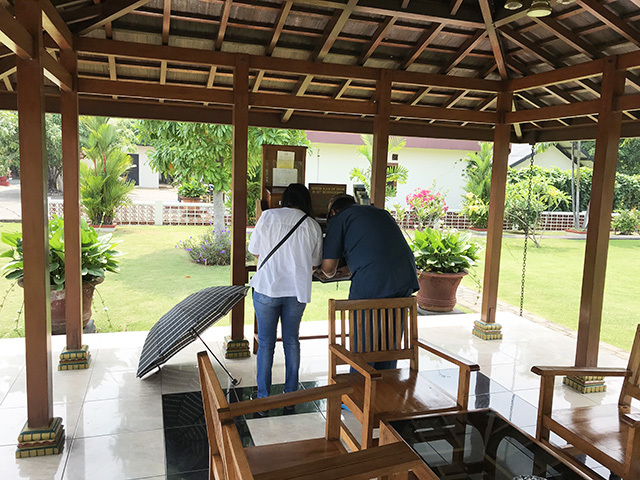 He left on another visit on 6th November 2017. Peter's father; Frank Scott, proud Sapper of the 2/6th Field Company 'Middle East and North Africa Originals' 7th Division Engineers Australian Army, 1940 - 1945. 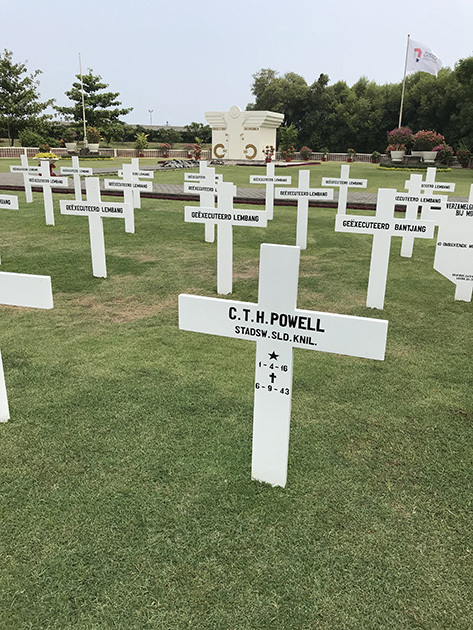 Frank was a POW along with John Appleby, initially in the Bicycle Camp in Batavia, then later on the Burma-Thai Railway, and finally in a coal mine in Japan, near where the atomic bomb was detonated at Nagasaki. Frank died in Tamworth NSW in 1982. 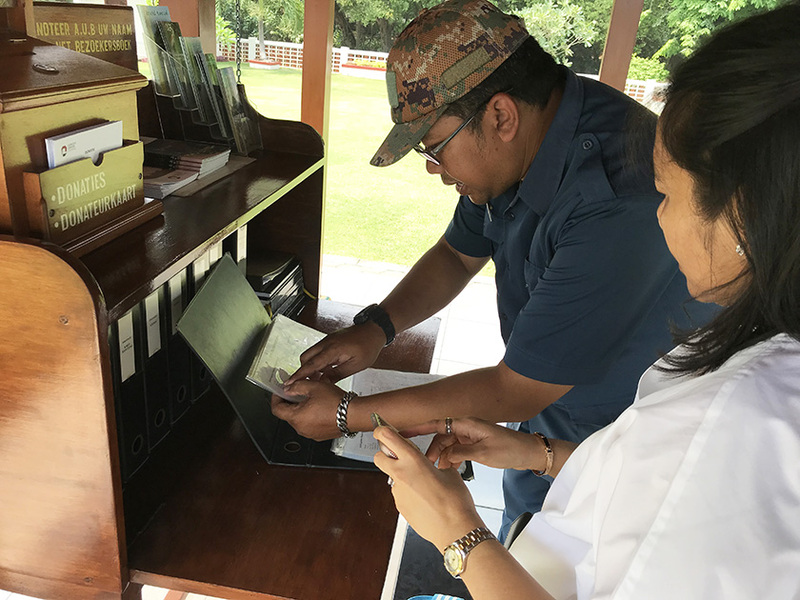 Hanny Hilgers obtained a secretarial post at a Japanese-run office in Batavia. Some of the women workers entertained their Japanese bosses at their homes. One of these women came to know about Appleby and Powell, and informed the Japanese. When a raid was held the Japanese tried to open the Chinese cabinet, but they were side tracked by Hanny. After John Appleby and Tommy Powell abandoned their sea plans, they joined the local Dutch 'underground' resistance, secretly operated a radio receiver to gain any news to pass to the resistance. Appleby, being an architect before enlisting, was adept at producing many false documents and armbands using Japandese characters. The betrayal necessitated the removal of Appleby and Powell from the Hilgers house in Mentang. 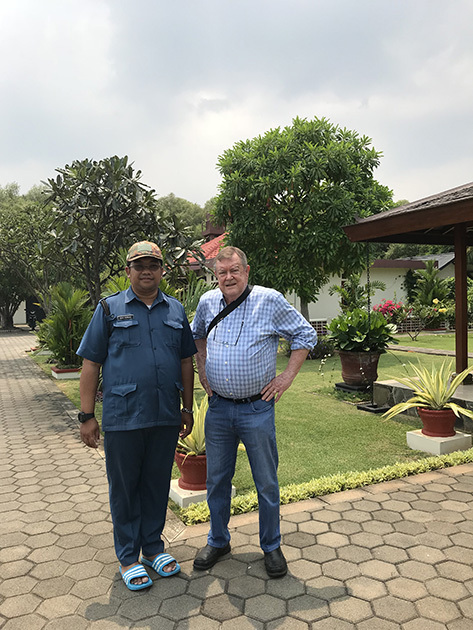 After contact with resistance leader LT Kriek Welter KNIL, they were moved to Buitenzorg (Bogor). Both had false papers, Appleby disguised as a German planter and Powell as a Eurasian clerk. The two escapees traveled freely by train, dressed in pith helmets and local gear, wearing copies of authentic Japanese armbands. 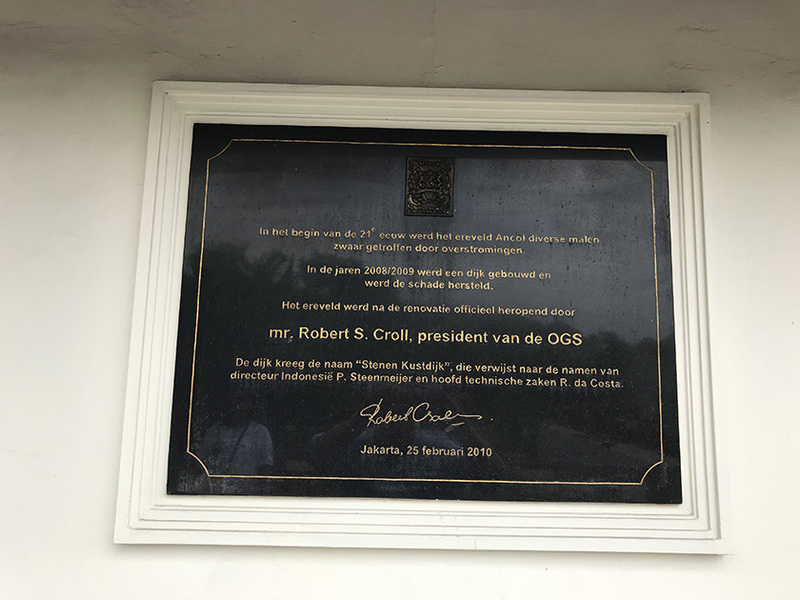 In Buitenzorg they were secreted in a private mental home and cared for by a staff sister. 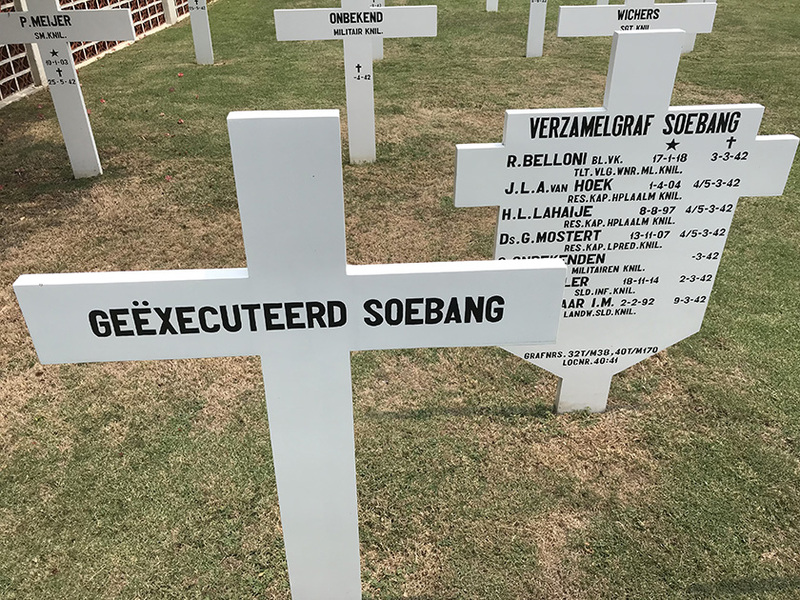 They continued their undercover work in a resistance unit led by a man named Backhuys, who provided each with a revolver, ammunition and a grenade. 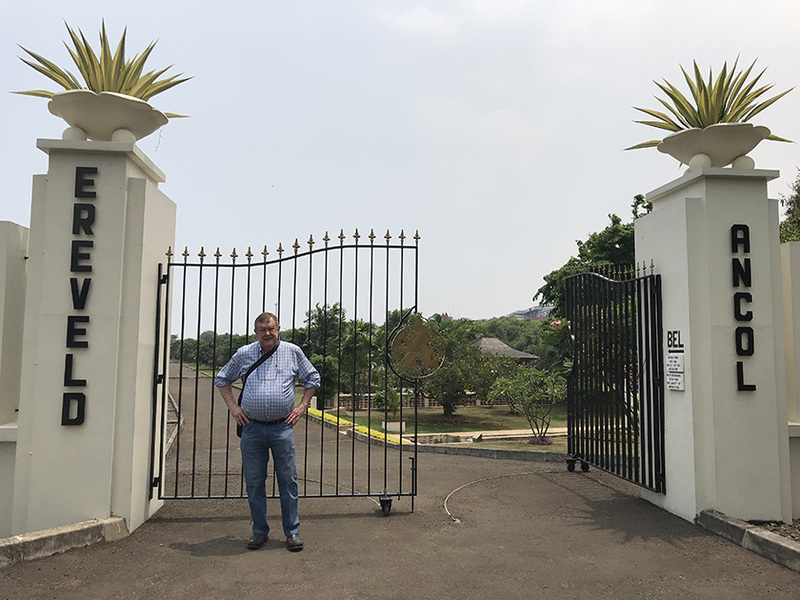 They maintained contact with Hanny Hilgers through an undercover agent and by Hanny's regular visits to Buitenzorg. Despite the capture of the resistance leader Backhuys, Appleby and Powell carried on their activities in anticipation of an Allied landing. It never came. When European staff at the mental home were interred by the Japanese, Appleby and Powel had to hide elsewhere. LT Rodie 2/2 Pioneers (on Brigadier Blackburn's POW staff) knew of their exploits and hatched a plan to bring them back to Batavia, hidden in Chinese coffins rather than risk a move in the boot of a car. Eventually Appleby and Powell reached the home of Mrs Hilgers and Elizabeth, whom were waiting in the dark for them. The Hilgers then spirited them away to the home of Mr P.M. Mulder of 11 West Street, Buitzenzorg. Mr Mulder took the fugitives in, hiding them in a bomb shelter which already harbouring a SGT Bechtholt KNIL, who was also in the resistance. Here the three carried on their clandestine work. By this time things were not going well for Hanny Hilgers in her workplace. Some of her office colleagues were more than friendly with the Japanese. Major Murase, head of the local Kempeitai (secret police), offerred 500 guilders for every British head 'dead or alive' . 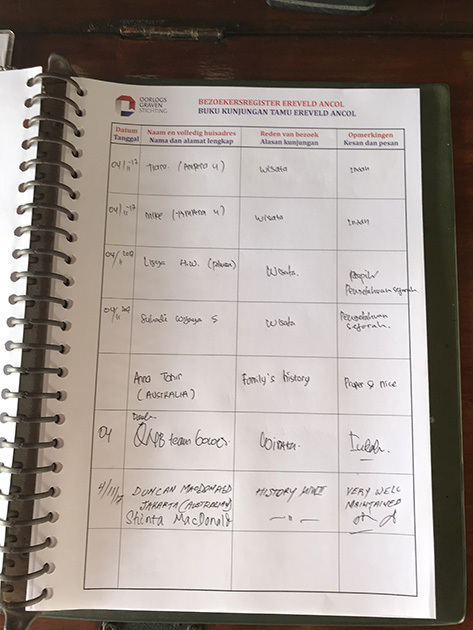 One or more of Hanny's colleagues knew about Hanny's secret visits to Appleby and Powell. 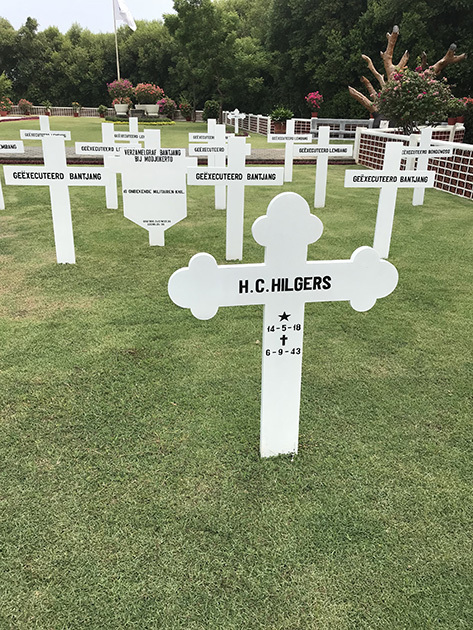 On 8th August 1943 Hanny and Elizabeth were arrested by the Kempeitai and jailed; Mrs Hilgers would have been taken as well, but was too ill to be moved. On the basis of information proffered by Hanny's office colleagues, who were Japanese sympathizers, their suspicions of Hanny and the Mulder house were confirmed. A detachment of Kempeitai Military Police entered the Mulder home, subjecting Mr Mulder to the worst treatment, and then tracing the three fugitives to the bomb shelter. Realising that the game was up, the three emerged from the shelter and tried to explode their grenades, to kill both themselves and the military police. However their devices were defective and failed to detonate, The three were overpowered. Hanny and the three men were charged with conspiring to harm the Nippon power, with spying, and resisting arrest. The Ki Kosaku 'Court' handed down a decree of guilty, and all four were comdemmed to death. 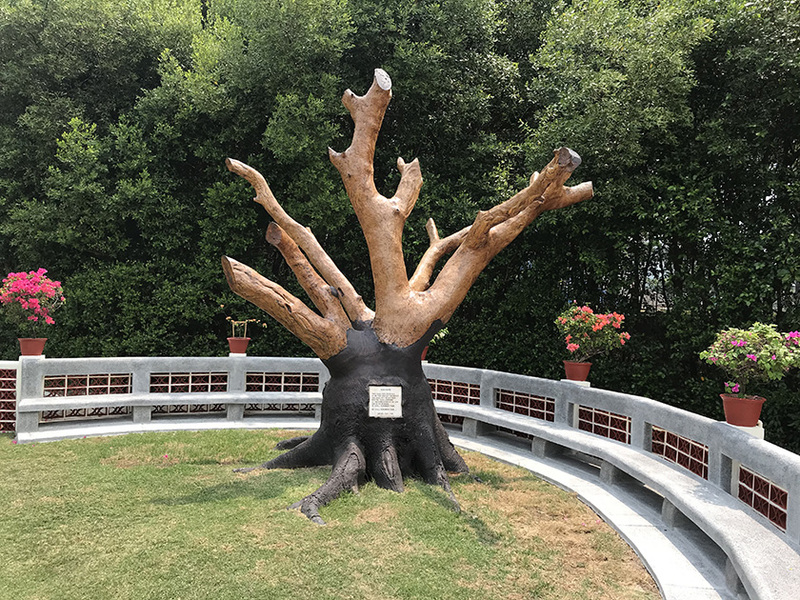 Execution tree The Japanese executed 200 people under this tree. 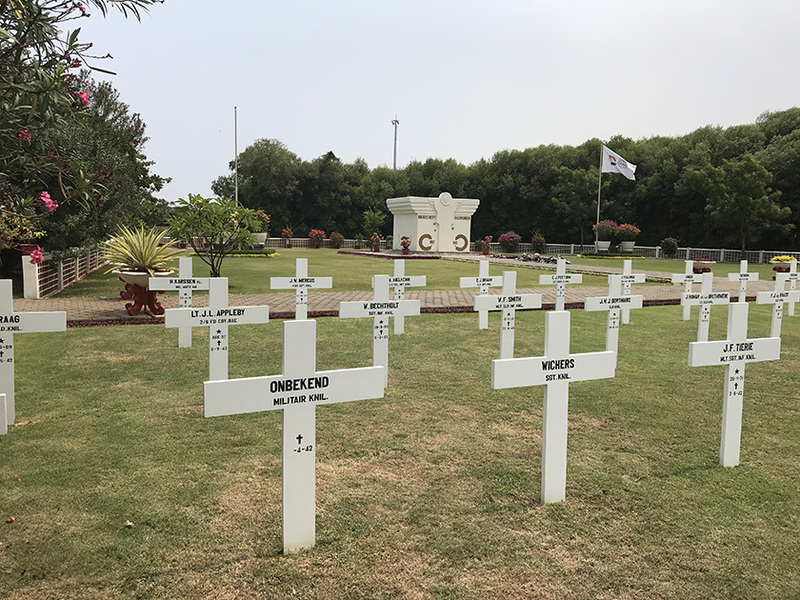 Accordingly, the two soldiers, LT John Appleby Royal Australian Engineers and SGT W. Bechtholt KNIL, together with the two civilians Hanny Hilgers and Tom Powell were taken by car to a place near the Chinese cemetery at Batoe Toelis, overlooking the River Tysadane. Major Katsumura, the Kempeitai chief at Buitenzorg, detailed Sergeant Major Hamada to lead a party of four NCOs to act as executioners. At 0800 hrs the condemmed were led blindfolded to where four graves had been dug in a line, and were made to kneel. The swordsmen stood ready and were greatly impressed by the victims' bearing as they faced death. Hamaca gave the order and LT Appleby and SGT Bechtholt were beheaded first, their executioners acting simultaneously. 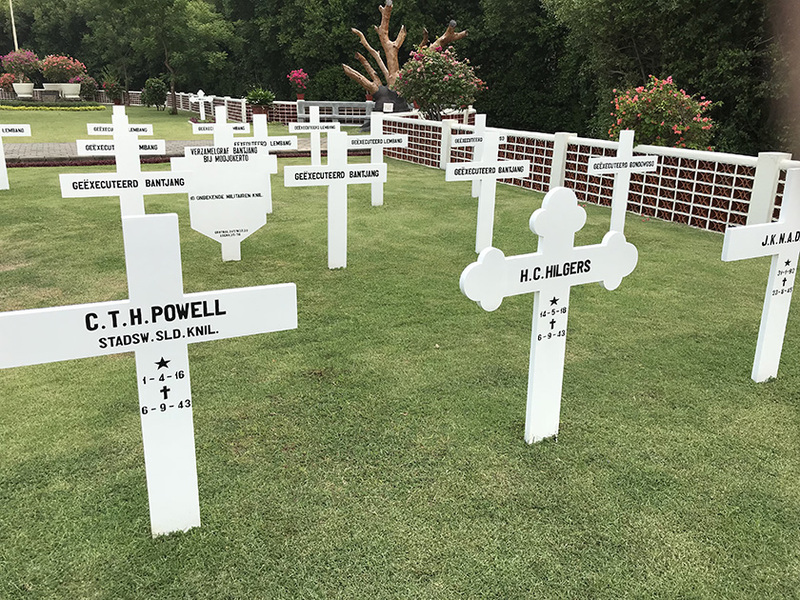 Then the two lovers Tom Powell and Hanny Hilgers met their fate together. Post-War war crimes tribunal records concerning the matter, show that the executioners recalled Hanny as being "a slight girl, small for a European, about 5 feet 1 inch in height, some 23 years of age, and dressed in a blouse with skirt". 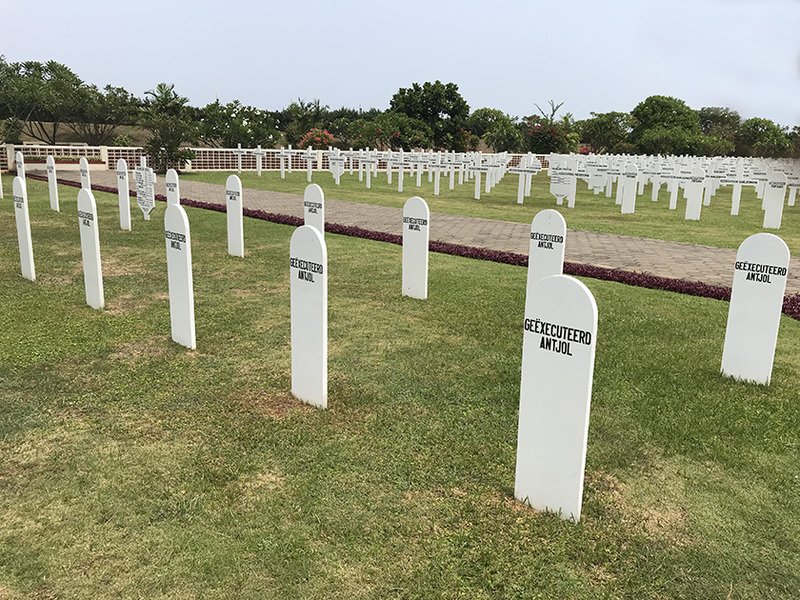 The bodies of the four friends and comrades-in-arms were later recovered from Batoe Toelis and re-buried with full ceremony in the Field of Honour at Ancol by the sea, near Tanjong Priok. And there they lie today. 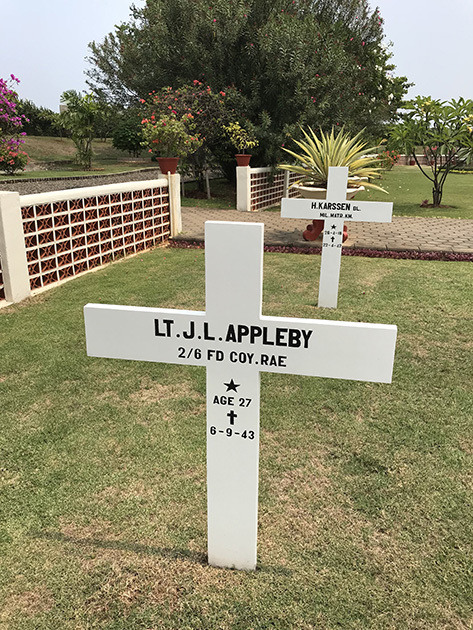 Stop Press: LT John Appleby 2/6th Field Company RAE 7th Australian Division executed by Japanese Forces 1943, was posthumously awarded Australian Government's Commendation for Gallantry, August 2018. 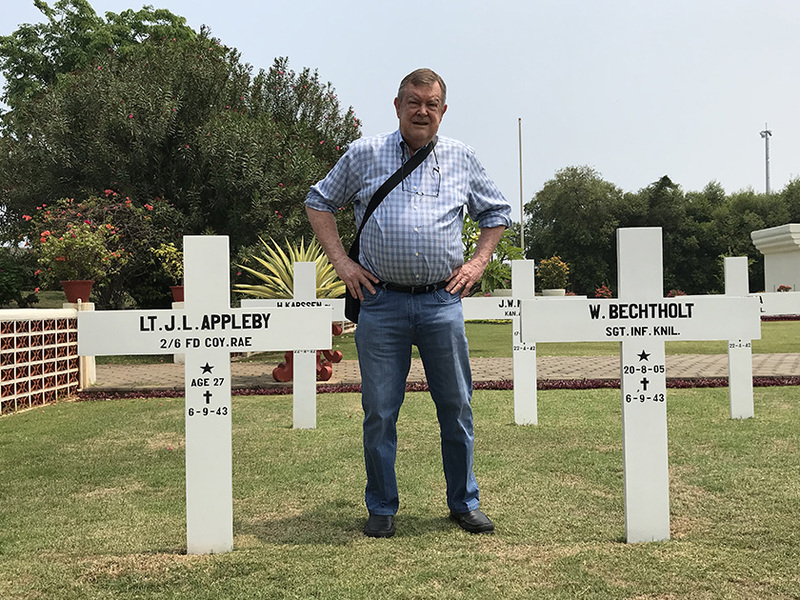 I enclose excerps from information received from Peter Russell Scott, Vietnam Veteran (1969-70), who has relentlessly pursued the Australian Government for many years to acknowledge the gallantry of LT John Appleby. 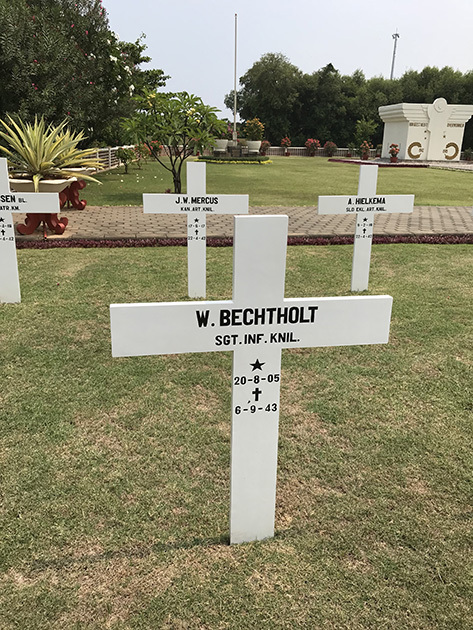 "It is gratifying that after 75 years the Gallantry of one of those mighty members of the 'Lost Company of Sappers' has been recognised by his own country for his gallant conduct in resisting Japanese millitary oppression in Asia during WW2, paying with his life by brutal execution. 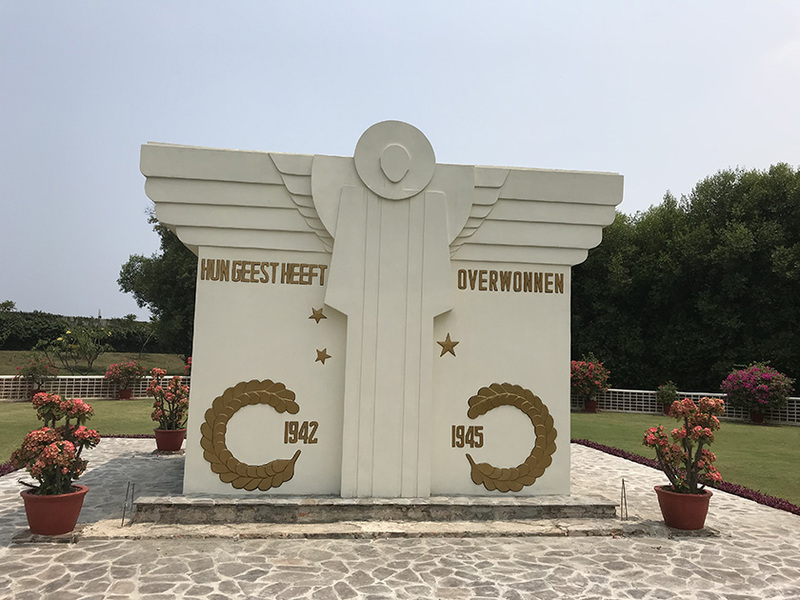 We should also not forget the deaths of his fellow members of the Dutch Resistance on Java in 1942-43; SGY Willem Bechtholt, the interpreter Tommy Powell and his lover the amazingly brave young Resistance Fighter Miss Hanny Hilgers. 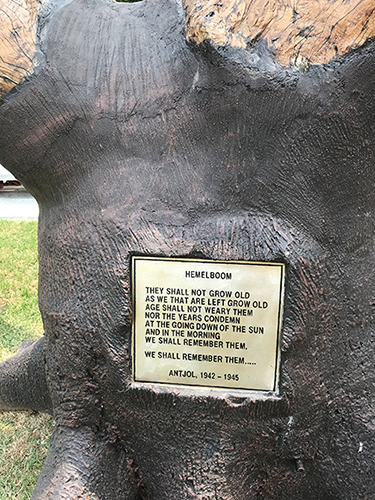 They all went to their deaths uncowed and in the case of John Appleby in Australia, until now, unrecognised. God bless them all and their memory." If you are wondering 'why the umbrella' with the blue sky, the temperature was 36 degrees celsius (97 fahrenheit) with no wind, at 10:30am. 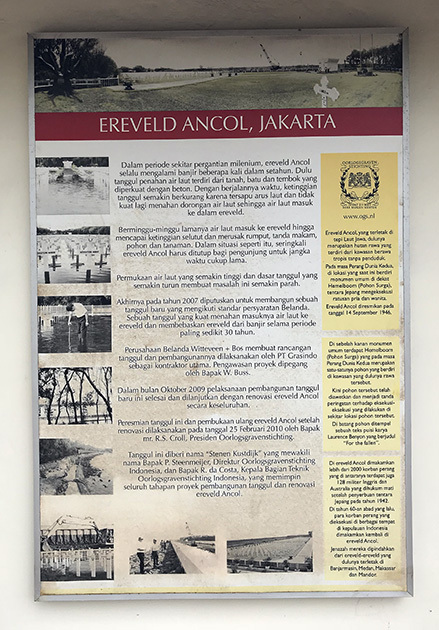 Ancol beach is next to Ereveld Ancol. 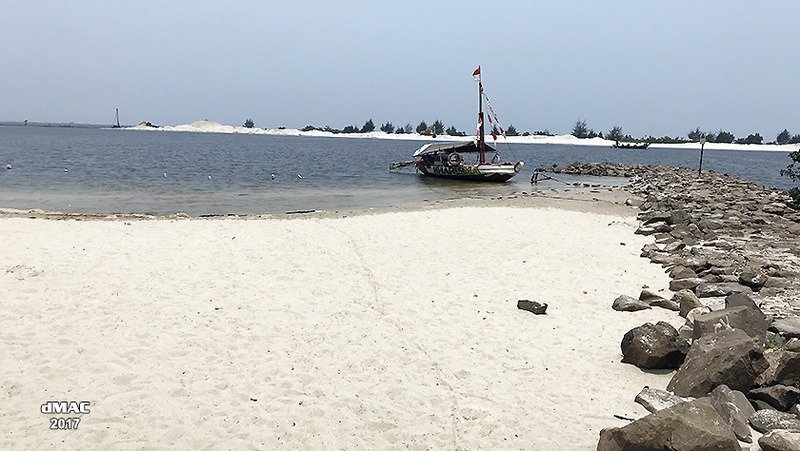 Here a boat lies calmly anchored, while to the left of the picture carefree beachgoers romp in the sand.